Peripheral centrifugal pump with compact dimensions. Able to generate high heads and suitable for domestic installations, water supply systems, small gardening applications, draining and filling cisterns, and for small industrial uses. Operating range: from 5 to 50 l/m with head up to 84 metres. Brass pump body and motor support for KP 60/6 and KP 60/12. 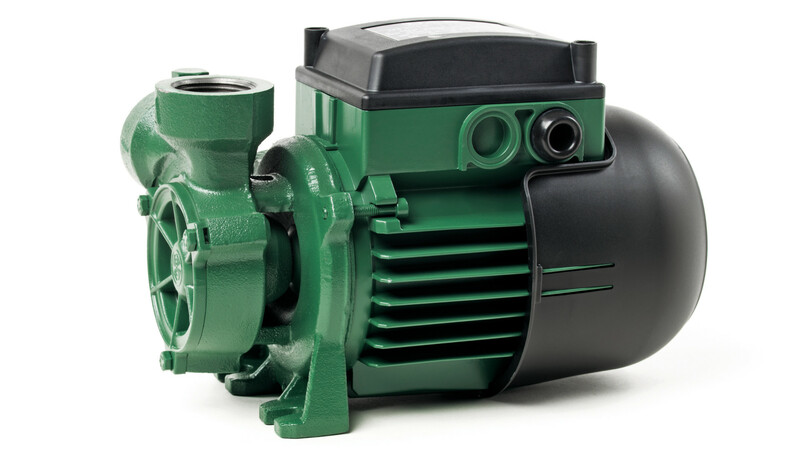 Cast iron pump body with radial suction for KP and KPS, frontal suction for KPF. Brass impeller. Carbon/ceramic mechanical seal. IP44. Liquid temperature range: from 0 °C to +35 °C for domestic use, from -10°C to +50°C for other uses.